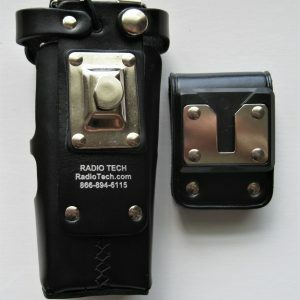 The RadioTech Original Communicator Style Radio Strap is constructed from genuine top grain 8 oz bridle leather that has been dyed completely through to show minimal scratches from multiple years of use. 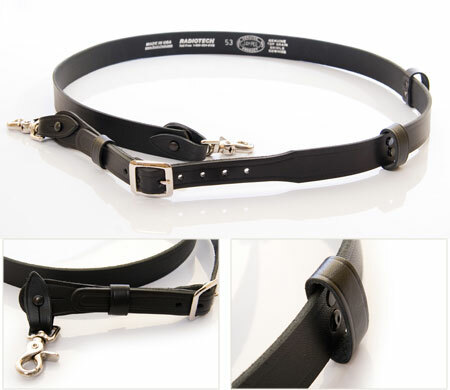 This top grain bridle leather used by RadioTech is extremely durable and flexible. 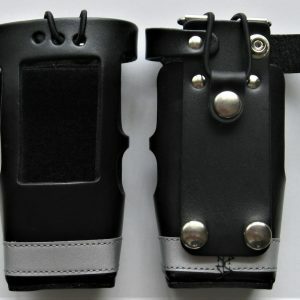 It can be distinguished from other leather radio straps by its smooth silky finish. The RadioTech Original Communicator Style Radio Strap _ RTCOM100 The RadioTech Original Communicator Style Radio Strap is made from the original FDNY design, in service by FDNY for over 30 years. The advantages of implementing genuine RadioTech products are that you will have your speaker/mic easily accessible for instant communications, you will be protecting your radio from heat and water damage and you will reduce the chance of loosing your two-way radio on the fireground. 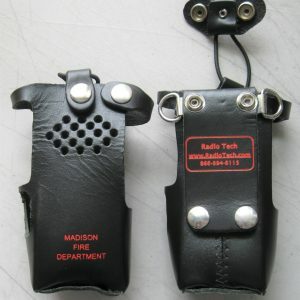 The standard RadioTech Original Communicator Style Radio Strap length is 60 inches end to end, and is fully adjustable from 57 inches to 63 inches. 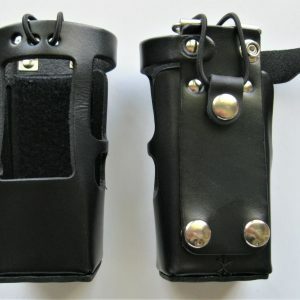 This is accomplished via a premium solid brass belt assembly, and is reversible for left or right hand use. 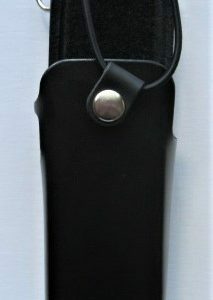 The width of the strap is 1.25 inches, with an embossed boarder running the length of the strap, giving the strap a professional finished look. A Leather loop is rivet -mounted chest level to attach the speaker/mic. A second leather loop is rivet _mounted approximately 6 inches below the original loop to carry additional equipment, i.e. Nextel, cell phone, Knife, etc.